A lush and beautiful lawn gives your home instant appeal and, with the right care and attention, could become the star attraction of your garden. The only problem is, good lawn care can take up your valuable time and needs to be completed regularly to achieve the best results. We offer a complete home property maintenance service including residential lawn care in Houston that gives you the freedom to get on with the enjoyable things in life while we look after your lawn care for you. We have years of experience in lawn care and landscaping and have helped many very happy customers in the local area. We can tailor our services to suit your exact needs. Whether you would like us to arrange a weekly mow and tidy-up or lawn care on a monthly basis, our services are flexible and designed to work in harmony with your routine and requirements. Our able team has years of experience in lawn care and landscaping and works to an exceptional standard at all times. The result is an immaculate lawn that is sure to be the envy of your neighbors and all passersby. We can also help with seasonal lawn maintenance such as leaf raking and disposal, removal of weeds and repairing dry or rough patches of grass using grass seed or high quality turf. In fact, we provide all the residential lawn care services you need to keep your lawn looking its best all year round. Lawn care and landscaping are just some of the home services we provide to our customers. 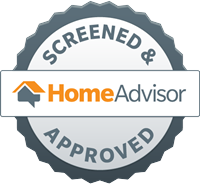 Our aim is to become your first consideration whenever you require help inside and outside of the home. Whether you require assistance with residential pest control in Houston, need home pressure washing services for your driveway, or you would like your car detailed, our team of professionals is on hand to give you the best possible service. 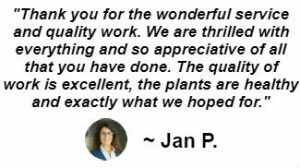 We have helped countless customers with our Houston lawn care services and have many satisfied and regular customers across the region. When you use Zodega you can rest assured that we will provide you with the highest standards at all times and give you the freedom to use our services in a way that is most convenient to you. A beautiful lawn is only a phone call away. Speak to our friendly team today to find out more about our home services and to arrange your first appointment.